Interlocking, durable panels ideal are for use in wetlands, coastal areas and deep sand. 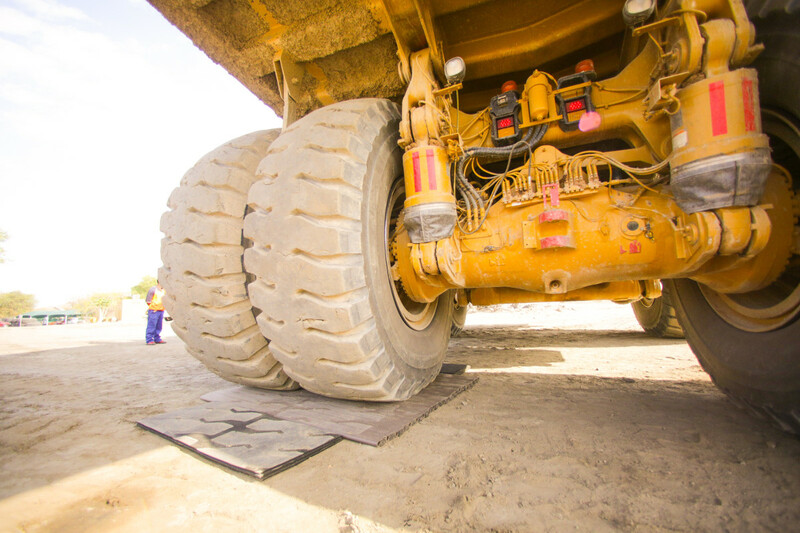 Composite Base Rig Mats offers the perfect temporary surface. Composite Base Rig Mats have even been used for major events such as the Soccer World Cups and more. 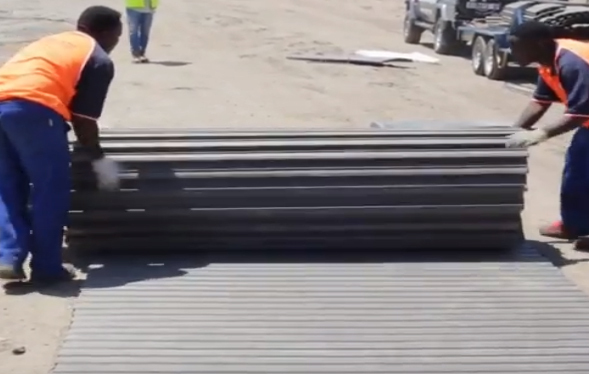 No matter what the ground conditions are, Composite Base Rig Mats™ make the perfect temporary protective surface for turnarounds, heavy-duty roads, staging or work areas. Composite Base Rig Mats protect fields while installing stages for ceremonies, concerts, and other large events. 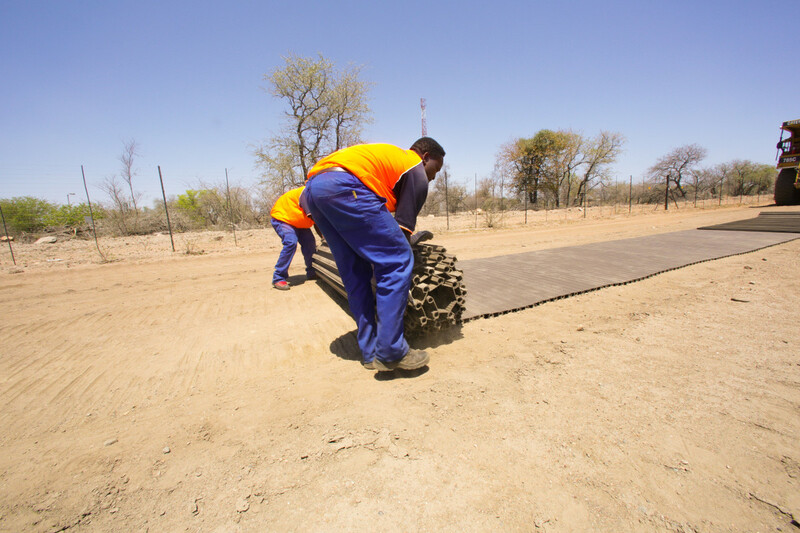 The mats are easy to assemble using an interlocking system creating a solid, durable, temporary, foundation or road. 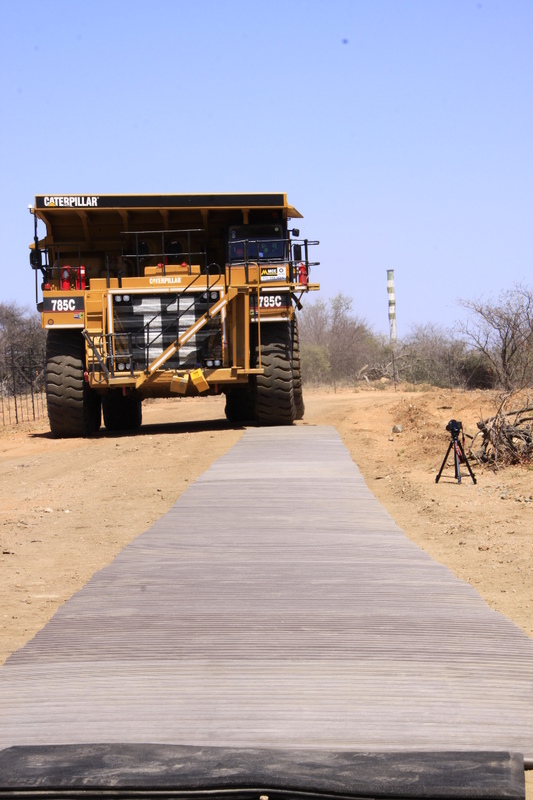 Perfect for military, mining, construction, exploration, game reserves, farming and agricultural. Access Mats are a category of matting that are generally used to provide temporary roads and worksites. Access mats are often used to access work sites in remote or environmentally sensitive areas, such as bogs, wetlands or fens. In the development of the product F3 group consults with industry leaders in the vast range of problems frequently faced in the natural gas, oil, shoring and construction industries. In product conception F3 Group considers the need for shipping conscious dimensions, simple assembly without the need for additional tools. Composite Base Mats™ can be used as access mats, working platforms, rig mats, and temporary portable roadways. We provide the gas and oil industry with stable, strong surfaces over any type of terrain and in any type of weather. Composite Base Rig Mats™ offer a simple yet sophisticated access portable matting solution. - Equipment support over soft terrain and in any climate. The Pro Aero Mats can be installed over existing runways, to prevent browning out a geo membrane is used to minimise dust. The Pro Aero Mat also allows for better traction and prevent aqua planing in high rainfall areas. Over and above the above, the mats can be utilised for private airfields. The Pro Aero Mats comes in a variety of colours. Territory dependant. The ground preparation will depend whether the services required are permanent or temporary. While not necessary, Geo-textiles are an inexpensive way to speed installation and removal time, as the presence of a geo-textile provides a clean and uniform installation surface and prevents debris or mud from interfering with the Pro Aero Mats connection system. Geo-textiles can be used to provide a barrier between dirt, mud and the mats above, and inevitably minimizes the cleaning required upon removal of the Aero Mats. 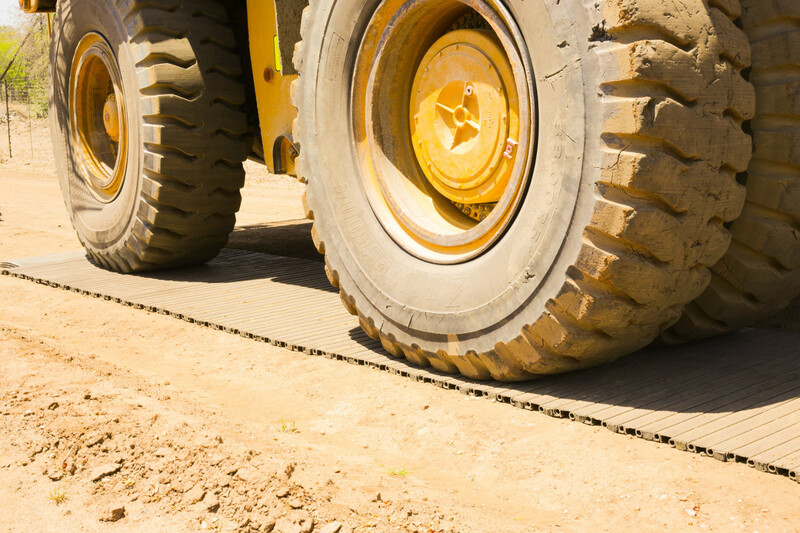 Depending on the type of geo-textile utilized and how porous it is, it can help keep mud and subsurface water from seeping up to the working surface of the mats and make your site safer for pedestrian and vehicle traffic. To use a geo-textile in combination with pro Aero Mats, simply unroll the geo-textile on the ground surface and install the Aero Mats using the standard installation procedures. Once the area has been cleaned and prepared, the Aero mats pure clips together, for more longterm installations anchoring pegs are used to keep the system in place. The Pro Aero mat, comes with a rapid deployable system where the panels can be rolled out for rapid installation in temporary applications. In High rainfall areas the Pro Aero Mat also facilitates perforations, to prevent aquaplaning, so water filters through quicker. For increased load factors the Pro Aero Mat, comes with load bearing inserts, that is installed under the matting system. The Pro Aero mats has built-in channels to prevent aviation fuel spillages on the surface, in addition there is ducting where lighting can be installed for night rated pilots without any interferences. By utilising the Pro Aero Mats, this can be prevented. - Easily installed solution for grass and ground reinforcement. - Best Suited for use in Parking areas, farms, campsites, golf paths and airfields. - Each module has sufficient clearance for water flow and recessed cabling or water/gas/power lines to be neatly placed underneath the flow. A Consultant will arrange a consultation with each client at the clients’ convenience and discuss the requirements and recommended solutions. An Experienced technical crew executes the perfect layout and the F3 Group carefully rehabilitates each site after work is completed and returns it to its original use, ensuring minimal impact on the environment. 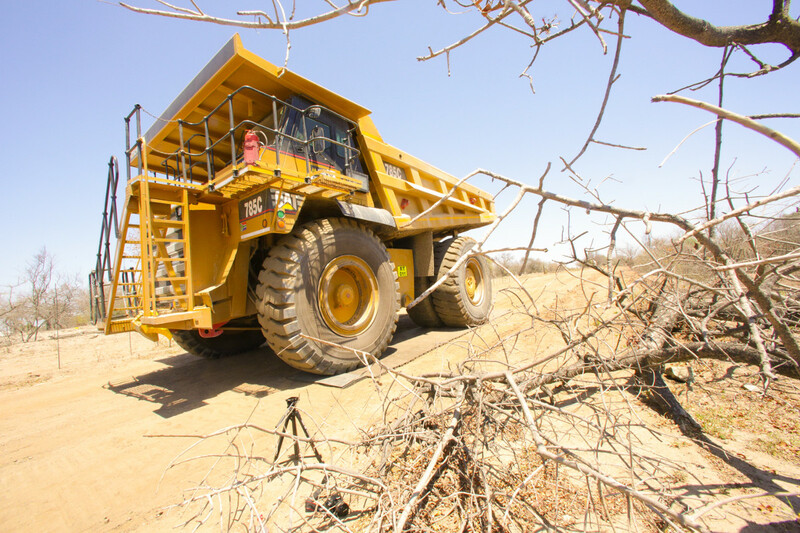 Remote locations present significant challenges and F3 Group offers the needed designs and solutions to get the job done.